The Floyd Country Store is a lot more than just a country store -- it's a reason we love small towns. And at 206 South Locust St. in Floyd, Virginia, you'll find everything you could want from one: the Floyd Country Store is a music venue, cafe, live variety show and, of course, a store. Our favorite feature is the monthly live radio broadcast, featuring the best old-timey music from around the Blue Ridge Mountains. The show is broadcast from inside the store and includes comedy quips, skits, jingles and authentic local bluegrass. Tickets are usually $10 in advance. Each radio show is streamed live and then re-broadcast by nearby local stations. If you feel like shopping, the Floyd store features a variety of items particular to country living. You'll see plenty of enamelware, books and the occasional set of suspenders for your britches. Music is also available for purchase from local Blue Ridge musicians. For your stomach: The cafe is known for their East Carolina-style pulled smoked pork barbecue, Chicken Brunswick stew and skillet-baked cornbread, but the locals will say the old-fashioned milkshakes are most popular. The music for your ears: Many local musicians take the stage at Floyd's, mainly because the audience has a deep appreciation for traditional music. 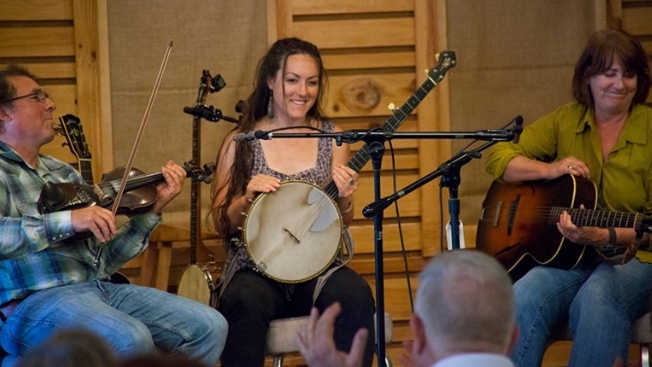 You'll find music and dancing every Friday evening, Americana tunes every Saturday afternoon, and a traditional mountain music jam every Sunday. This store is worth the trip and Floyd is worth the stay if you choose to make it a weekend adventure. The Floyd Country Store is located about four hours from downtown, D.C. If you need help with accommodations (or other local activities), there's a guide for that, too.